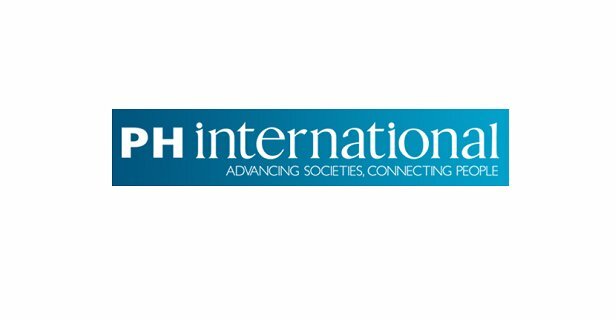 PH International is now accepting applications from the individuals for the position of the Communications Expert(s) to deliver communication strategy elaboration and delivery support services for a one-year long program in Azerbaijan. PH International will lead a multi-country, multi-faceted effort to reduce the risks of radicalization of vulnerable residents of Azerbaijan, Georgia and Macedonia. The project will include efforts of comprehensive online and offline campaigns countering and preventing radical messaging. The Communication Expert is a part-time service contract position, working closely with project team in order to develop comprehensive 6-month online and offline campaign countering and preventing radical messaging. The communication campaign design will include strategies for getting the campaign messages out to the public through a variety of offline and online channels. For example, offline activities may include, but not limited to face to face meetings, sports and educational events, etc, whereas examples of online activities may include: developing online educational platforms; uploading a series of videos of influencers as well as photo stories and infographics through Facebook, YouTube, Instagram, and vlogs; share human interest stories through online communities, chat rooms, and blogs; hold a series of online conferences with influencers. The Communication Expert will provide ongoing support to the project team throughout the implementation phase of the online and offline campaign and will have regular check-in meetings to help them refine and adjust the implementation if needed. • Perform communication audit, gather and analyze key data for the purpose to lay ground for the communication campaign on preventing and countering violence extremism. • Design of 6-month online and offline communications campaign, including innovative research, ideas and experience drawn from the practice from P/CVE field. • Provide support in implementation of 6-month online and offline communications campaign. • Work directly with project team to evaluate the implementation of the communication campaign. Note: To fulfill these responsibilities successfully, the Communication Expert may travel within the regions of Azerbaijan. Applicants who have required qualifications should submit their CV, and cover/motivation letter with the names of 3 references to: nino.gurgenidze@ph-int.org no later than September 25, 2018. Please indicate the position title in subject line. Only short-listed applicants will be contacted for an interview. Cover/motivation letter should include information about the specific expertise from the similar communication campaigns, as well as illustrative outline (vision) of key strategies and tactics of the proposed 6-month communication campaign on preventing and countering violence extremism.